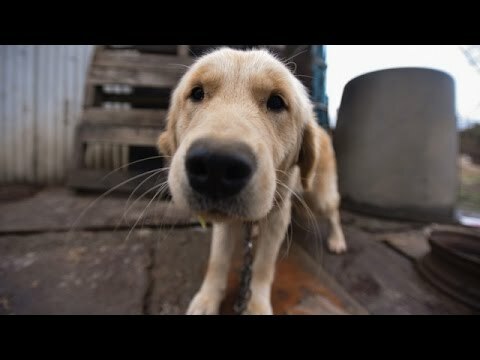 Humane Society International has rescued 26 dogs and puppies from a dog meat farm in South Korea, its fourth such rescue operation this year. The dogs were successfully transported to the Washington Animal Rescue League in Washington, DC. Their staff will evaluate and divide the dogs among them and four Emergency Placement Partner shelters, including the Animal Welfare League of Alexandria, Animal Welfare League of Arlington, Fairfax County Animal Shelter and Washington Humane Society to find the dogs homes. The Emergency Placement Partners Program is a program of The Humane Society of the United States, HSI’s U.S. affiliate. HSI worked with the farm owner to remove the dogs from miserable conditions and close its doors for good. As part of the plan, he signed an agreement with HSI to shut down the property. HSI will follow the farmer’s progress to ensure compliance. HSI will demolish the cages in the following days now that all the dogs have been removed. HSI is working to reduce the dog meat trade in Asia, including in South Korea where dogs are farmed for the trade — and where the 2018 Winter Olympics will be held. HSI will work with other dog farmers who agree to get out of the cruel dog meat trade permanently and transition into more humane trades.